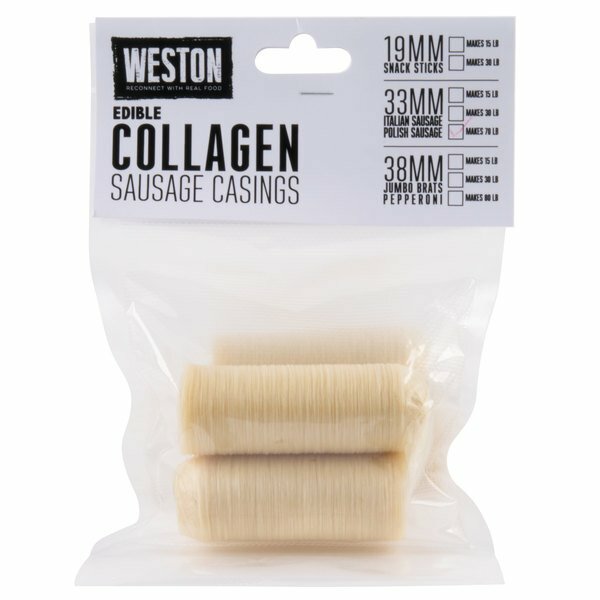 Use Weston 19-0102-W 33mm collagen casing when making a processed, smoked, pre-cooked, semi-dried, or dried sausage. 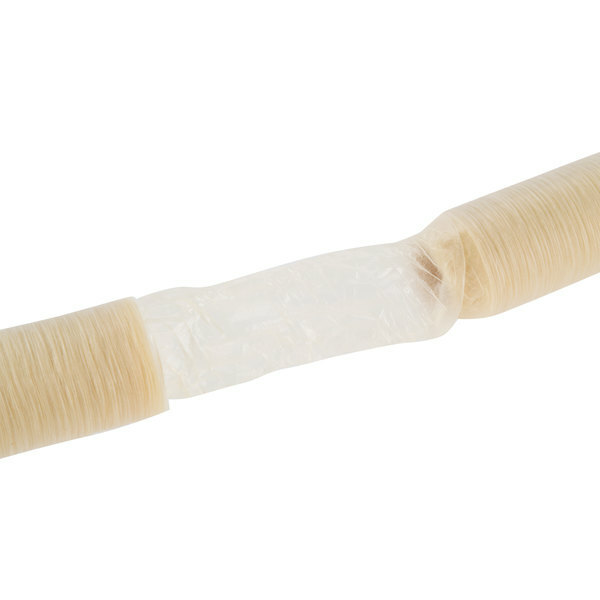 Made of edible beef collagen, this processed casing is the convenient and ready-to-use alternative to natural casings. There's no soaking, rinsing, or prep required and the casing is uniform in size. The casing's 33mm size is perfect for making mid-size bratwurst, hot dogs, Italian sausage, and kielbasa! Great for hunters, butcher shops, and meat departments, this casing is packaged in a convenient zipper seal vacuum bag for maximum freshness and easy storage. Whether you're grilling, smoking, or dehydrating meats, it will help save prep time! This casing makes 70 lb. of sausage. 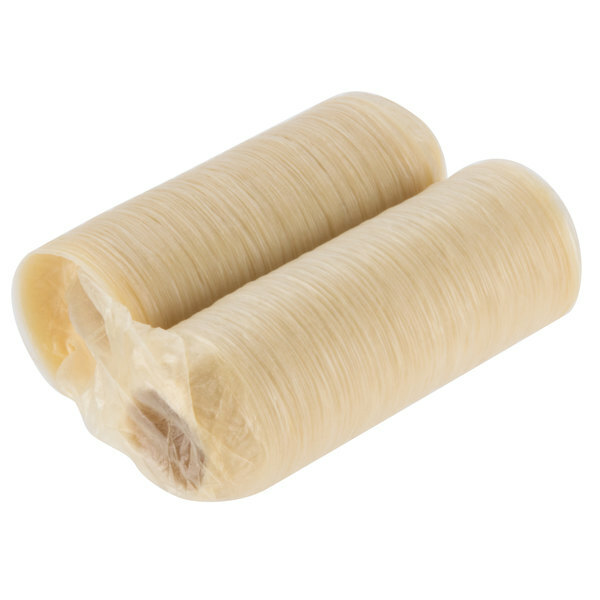 Overall User Rating: Weston 19-0102-W 33mm Collagen Sausage Casing - Makes 70 lb. did tear on a few of our sausages. I was smoking them in a smoker and may have pushed the temperatures too high but had multiple sausages rip while cooking. I made my first ever batch of homemade Mexican chorizo today using the Weston Collagen casing I purchased at the Webstaurant Store. I simply soaked it in ice water for twenty minutes while I ground my meat and prepared my spice mixture and then used my kitchen aide sausage stuffer to make my chorizo. Grilled it fresh tonight. Great product excellent value.